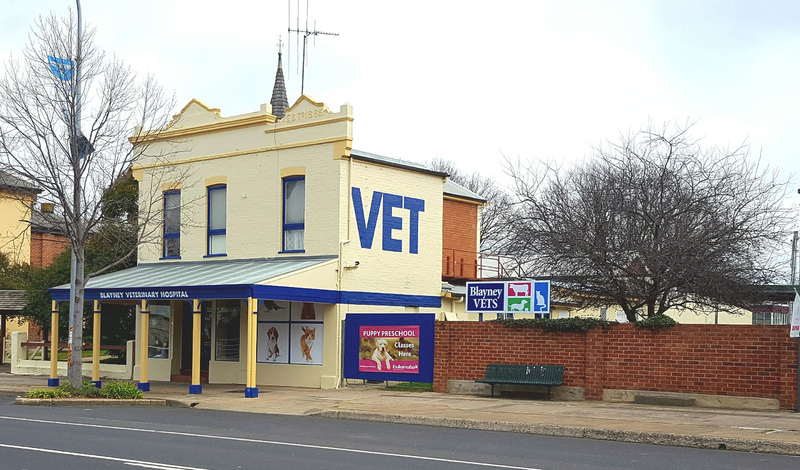 Blayney Veterinary Hospital is a large and very modern veterinary hospital built behind the historic 1885 facade which faces onto the main street of Blayney. Our highly trained veterinarians provide wide-ranging services to the animals of the region (whether bulls or budgies, coughing kelpies or limping llamas…) using the latest in medical drugs and surgical equipment. We are an accredited University of Sydney Veterinary Faculty Rural Training Hospital. In fact, we won the award for top teaching hospital in 2008 which was very exciting. We train final year veterinary students from many Australian veterinary schools. Companion animal services include vaccinations, micro chipping, medicine and surgery, boarding of cats and dogs, pathology, radiology, dentistry, grooming and behavioural advice. Our surgical particular interest area is orthopedics -including complicated fractures and TPLO surgery for cruciate disease of dogs.We have the latest digital radiology equipment and extensive in-house laboratory testing. House calls are another service provided for clients of the Blayney Veterinary Hospital. Our team also offers an extensive range of large animal services.